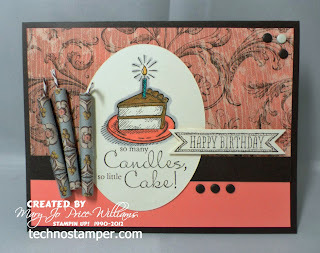 Love this...my favorite paper from this DP pack, and your candles are FUN! This is too cute!!! I absolutely love the candles! Fabulous card! Super cute, Mary Jo! What a clever way to use more DSP! Those candles are waaaay cool! 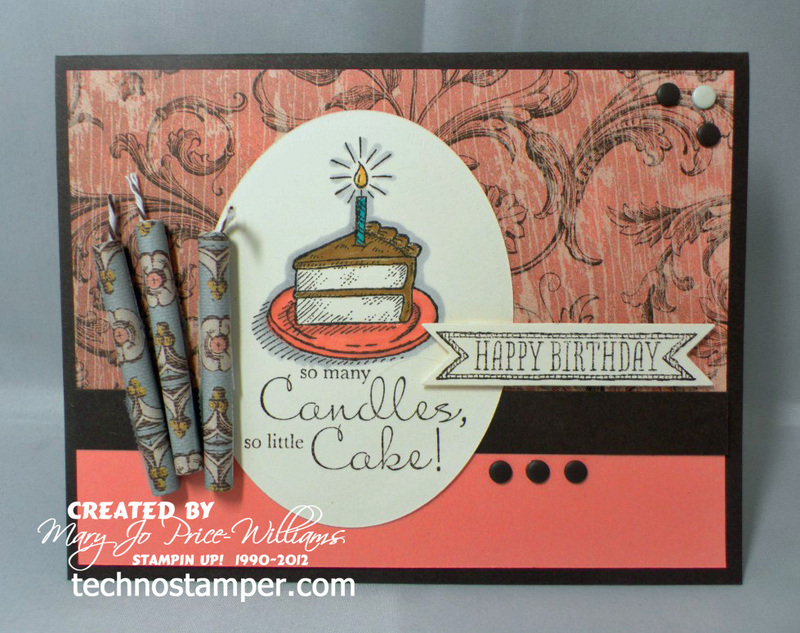 How wonderful is this design and love the candles....agree they would be cute using money but this is great multitasking using the DSP! Love the little candles you have made. Great job. Love this card. 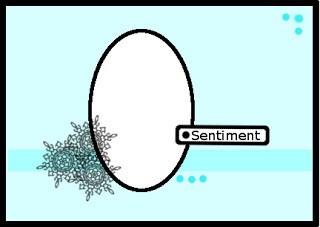 I was wondering how I could use this DSP pattern. It looks fabulous with this layout and stamp set. Great work!